Buffalo’s newest client – for which we are integrating strategic public relations and content marketing programs to reach qualified member and resident prospects at precise points in the sales cycle – is one for the ages. On Hutchinson Island, Florida is one of America’s most stunning (and unique) oceanfront communities. Sailfish Point residents boast “it’s like living on your own, private Caribbean island.” All lavish 532 acres appear to have been perfectly dropped from above into the Atlantic Ocean. Sailfish Point is only minutes from progressive, artsy Stuart, Florida and an hour from the Palm Beaches and Palm Beach International Airport. Yet its seclusion and security are a world away from the traffic and stresses of more developed parts of the Sunshine State. Five-star resort amenities include a nationally-ranked Jack Nicklaus Signature Course, 77-slip marina and yacht club with deep water access, oceanfront clubhouse, spa and fitness center, tennis courts and pools. Residents pay a one-time capital contribution to join. Golf membership is separate with a non-refundable or higher refundable initiation fee alongside reasonable annual dues for a luxury community. Real estate product features estate homes, villas, condos, townhomes and a limited number of lots. Entry-level starts at $550,000 for condos and rise to $5 million-plus for sprawling, single-family residences. Sailfish Point’s primary feeder markets are the Northeast (New York to Boston) and the Midwest (Detroit, Chicago and Minneapolis / St. Paul). Emerging secondary feeder markets in Texas (Dallas and Houston), California (Northern and Southern) and the Southeast (Atlanta and Charlotte) are also producing qualified buyers. Only a fraction of homeowners live at Sailfish Point year-round as peak season spans December through May. For many residents, Sailfish Point is a third or even fourth home. Unlike traditional private communities in Palm Beach, Broward and Dade counties, the average age at Sailfish Point skews very young, especially for Florida. 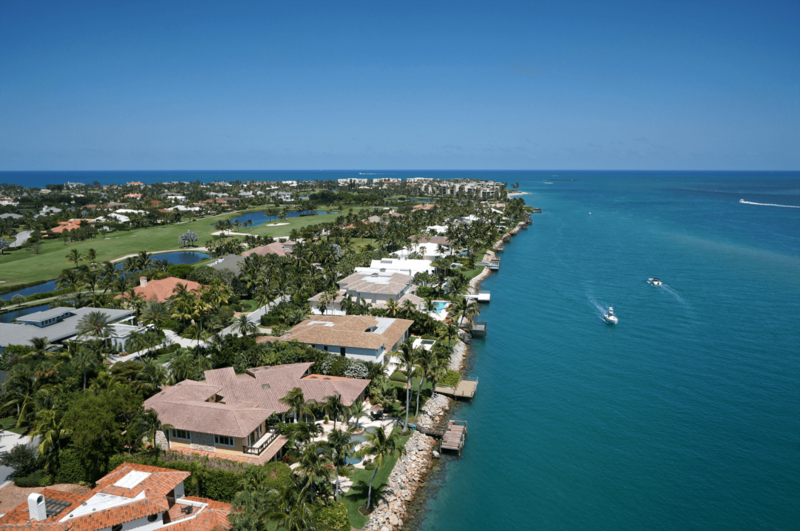 Sailfish Point was originally developed in the 1970s and built-out over the next 30 years. Updating occurred with a recent multi-million-dollar renovation of the 60,000-square-foot clubhouse and Nicklaus Design’s wholesale renovation and modernization of the Jack Nicklaus Signature Golf Course. Notwithstanding solid sales velocity, search engine marketing and advertising (digital and print) have hit points of diminishing returns. Modern “storytelling” through earned and owned media needs to be categorially ramped up for Sailfish Point to get to the next level. That’s where Buffalo’s national and regional PR in image-aligned media channels, as well as content marketing, come into play. Don’t believe the headlines. Golf is alive and well, thank you. WE ARE GOLF – the coalition of the game’s leading associations and industry partners – unveiled its new U.S. Golf Economy Report at the National Press Club in Washington, D.C. prior to the 11th annual National Golf Day on April 25. Highlighting the study – conducted by TEConomy Partners – is $84.1 billion in activity directly driven by golf in 2016, a 22% rise from $68.8B in the 2011 report. The industry supported $191.9B in total annual activity, including 1.89 million jobs and $58.7B in wages and benefits. Demonstrating golfers’ and businesses’ commitments to charity, $3.94B was raised in 2016 through tournaments and other activities. The fourth report since 2000 to measure the game’s effect, research encompassed golf course operations, tourism, real estate, supplies, tournaments, associations, charitable events, capital investment and other commercial segments. Findings were announced in conjunction with National Golf Day, the industry’s pinnacle, annual event that brings leaders to Capitol Hill to meet with Members of Congress, the Executive Branch and federal agencies to discuss golf’s social, economic and environmental benefits to society. Buffalo has managed WE ARE GOLF marketing-communications for five years. Sure, Buffalo started as a golf PR firm, but nowadays we’re so much more. A client in the golf technology space is a dominant seller on Amazon. However, its deep desire was to spread the wealth and move product on its website for ostensibly double margin. Call Buffalo to construct a strategy and execute a detailed yet efficient plan that drives awareness, engagement and conversions. Paid Facebook advertising is generating an impressive return on ad spend (ROAS) of 6, not including audiences driven in droves to buy on Amazon. 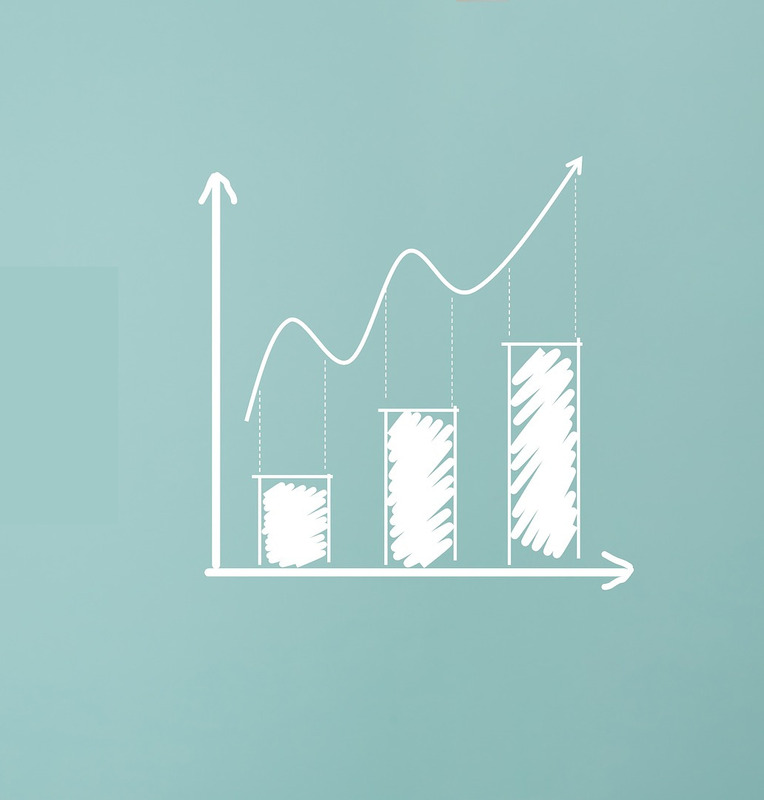 A consistent presence has meaningfully increased effectiveness and decreased spend. Entertaining and interactive content – including a rotation of Buffalo-produced serious and whimsical videos – is also stimulating clicks and purchases. Audience insights from these campaigns are informing product development and other marketing initiatives. 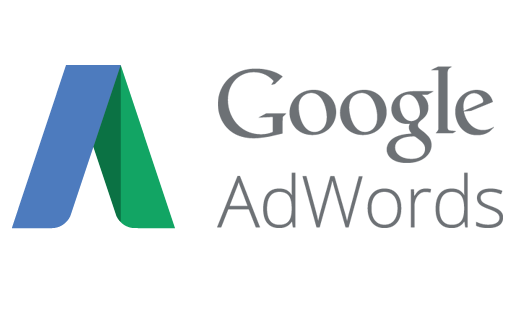 Buffalo managing Google AdWords is achieving a remarkable ROAS of 8. We pinpointed key search terms which best stimulate sales and are going deep with them at scale. In all, we show more than $1 million in sales the past 12 months from remarketing and acquisition campaigns on search, shopping and display networks. Previous non-converters are encouraged and incentivized to open their wallets. Organic social media takes the form of two or three boosted posts weekly to keep this community engaged. 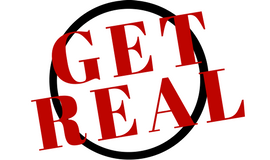 We ride the top performing posts until data shows it’s time for a new, compelling campaign. Increases in Facebook and Instagram communities are north of 1,000%. We round out the program with public relations. Coverage in USA Today, PGATour.com, Golfweek, PGA.com, Golf Tips and scores of other editorial outlets add objective, third-party credibility to the brand and product efficacy. 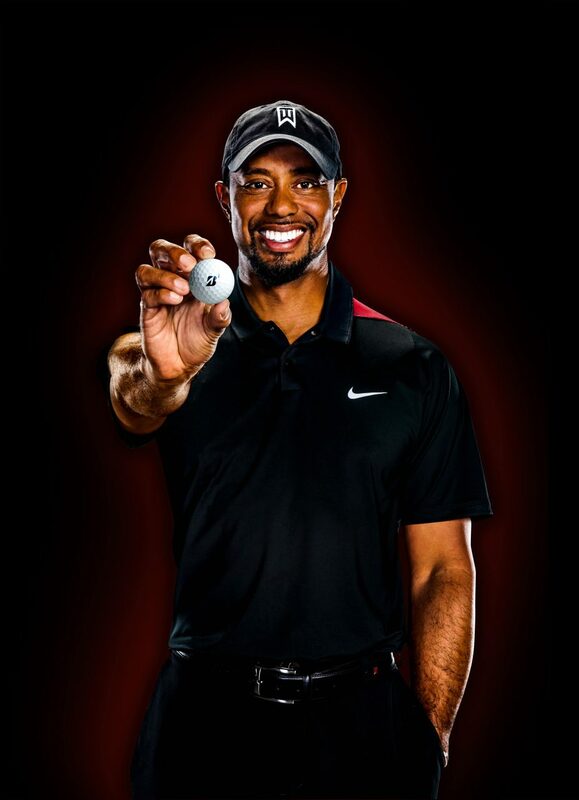 In December 2016, Tiger Woods committed to exclusively play and promote Bridgestone’s high-performing golf balls. It was his first endemic signing since breaking ties with Nike. Since then, injuries largely prohibited the winner of 14 major championships and 79 PGA Tour events from playing competitive golf. But in late March, Tiger made a heroic comeback, narrowly missing a PGA TOUR win. The golf world was abuzz. Weaving Bridgestone and its golf balls into the public relations narrative was the task at hand for our Buffalo team. Then there’s the perfect storm of Tiger switching to the new, limited-edition Tour B XS Tiger Woods ball just one week prior to the Masters. Then we inserted Bridgestone Golf CEO Angel Ilagan into the conversation. In storytelling, media and audiences gravitate to people. They love the human element, so Tiger and Ilagan took to the proverbial bullhorn. The New York Times, Forbes, CNN, CNBC, Fox Business News, Los Angeles Times, Yahoo! Sports, Reuters and the San Diego Union-Tribune were among the heavyweights spotlighting Bridgestone’s contribution to Tiger’s stellar play. During a 14-day period leading up to The Masters Tournament, news about Bridgestone golf balls and market dominance reached 312 million Americans with a publicity value of $500 million-plus, 56% share of voice, 140% more mindshare than the nearest, competitive ball manufacturer and a 95% neutral-to-positive sentiment. Sales are super strong for Bridgestone and it’s conducting more ball fittings than ever for golfers of all playing abilities. The lifetime value of these customers is through the roof. Chalk one up to the power of the press, Bridgestone making golf’s best balls and having the foresight to partner with one of golf’s, if not sport’s most powerful icons in history. Don’t forget Buffalo’s prowess developing and tenacity pitching storylines, as well as our tight editorial connections. Not everyone is perfect. Our bodies, minds and values are rife with flaws. Although most of us are aspirational, we know getting skinny, smart on topics of disinterest and void of vices are arduous tasks. Let’s call out fashion brands. Why do marketing campaigns often promote unachievable lifestyles? We believe they should be more relatable. Proudly admit and even celebrate people’s imperfections. Make them feel comfortable in their own skins. There’s no need to challenge people to attain traditional beauty ideals so far out of reach. Unapologetically, winners are of all shapes and sizes, so portray them in their more natural states. Don’t touch up photos because the vast majority of us can’t and don’t want to look like the Kardashians. User-generated photos and videos are rooted in reality and stimulate powerful connections. They’re fact, not fiction; authentic and honest, not fantasy. This counter-culture approach – especially among millennials with great lifetime consumer value – creates like-minded ambassadors and talk-of-the-town potential. Buffalo’s storytelling is real. We eschew the impractical, if not impossible. Brands we represent establish close, emotional relationships with buyers by being one of them, not one they’ll likely never be. Put yourself in consumers’ shoes.